Book Review: Whose Offering Plate Is It? Christopher, J. Clif. Whose Offering Plate Is It? New Strategies for Financial Stewardship. Nashville: Abingdon Press, 2010. 145 pp. This review was originally written for the Center for Faith and Giving, a ministry of the Christian Church (Disciples of Christ), whose mission is to create a culture of generosity across the church. You can find this review there as well, along with my review of the first volume, Not Your Parents’ Offering Plate. 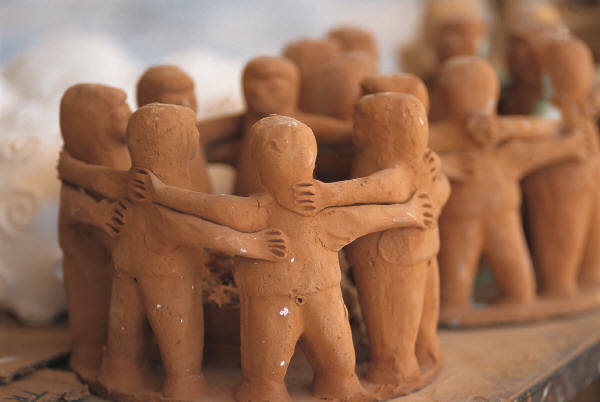 Check them out for great resources for stewardship, giving and growing generosity in your congregation. Whose Offering Plate is It? is the companion volume to J. Clif Christopher’s Not Your Parents’ Offering Plate. 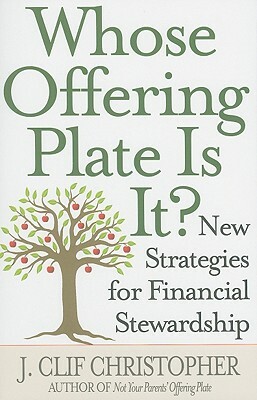 Not Your Parents Offering Plate makes the hard case for why churches need to change their approach to raising money. Whose Offering Plate Is It? offers clear, concise directions about how. Christopher moves beyond making the case that churches need to emphasize how their ministries change lives. He shows how to follow his advice with practical tips for using testimonies, emphasizing the good news, collecting stories of changed lives. His strident argument that the pastor should know members’ giving habits becomes a strategy to present this case to the church leadership and practical advice for those who might be reluctant about the effect of financial knowledge on their ability to minister impartially. Instead of just making the case for individualized stewardship letters, Christopher offers sample letters and a breakdown of various types of donor groups. The book is based on a question-and-answer format, as Christopher addresses the most commonly asked questions that arise from his first book. He includes questions that reach beyond his own writing, such as: “Do We Tell When Things Are Bad?” and “What Do I Do in a Bad Economy?” Many struggling churches and pastors would benefit from reading and discussing his responses. Christopher manages to be brutally honest at the same time he is full of hope and encouragement about why the church should be excited to ask for generous gifts. 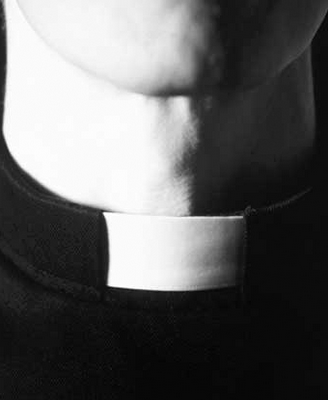 He makes the case for the church and its ministries as unique in their ability to offer hope and good news in troubled times, to transform people’s lives from the inside out. He reminds us of why our mission matters, and inspires me to tell our church’s story more effectively and ask for generous gifts more boldly. In my church, we have put into practice many of the ideas that we read in Christopher’s first book, but we definitely could have used the roadmap provided in this second volume. While you could read both books cover-to-cover, I would recommend reading the first book with a group of lay leaders, and then discussing it. When you find ideas you want to implement, then you can read just those sections of Whose Offering Plate Is It? together and use the strategies to get started. As you grow into Christopher’s ideas, you can return to this volume for the practical tools you need. 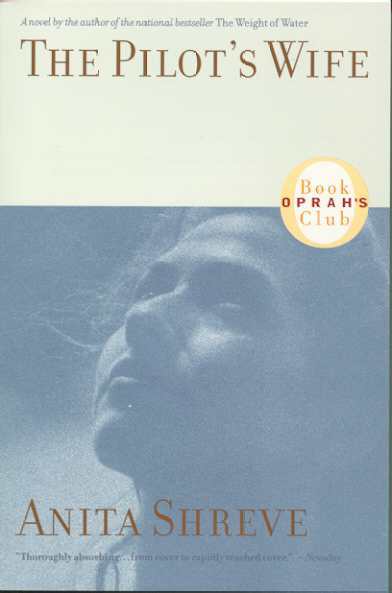 The Pilot’s Wife by Anita Shreve, Little, Brown and Company, 1998, 293 pp. I was hooked on this novel from the first few pages. The story is about the aftermath of a plane crash, and it begins with a knock on the door in the middle of the night, awakening the pilot’s wife with the news. The novel follows the wife’s story of grief and healing as the strange details of her husband’s hidden life emerge after his death. Kathryn, the pilot’s wife, is the center of the story, and it’s her perspective that we see throughout. I found her to be immediately likable as a character. As a reader, I did not share her grief and heartache, but I wanted to be her friend, to walk her through the situation and be by her side when she needed it. Even as the revelations about her husband’s secrets began to emerge, Kathryn showed a great sense of strength and resolve. She overcame multiple betrayals and even at the lowest points she always held her own. I was cheering for her the whole time. This was well written, an engaging story with characters that I loved and believed in. It’s not a prize-winning piece of fine literature, but it was a great novel for pleasure reading. I didn’t plan to read a novel this week, but once I read the opening pages I couldn’t stop. You’ll be hooked too, and you’ll enjoy the whole ride. I’ll freely admit it. I am a terrible housekeeper. When people ask me, “how do you do it all?” I tell them the answer: “I don’t clean my house.” There are almost always dirty dishes in the sink, dust on the shelves, laundry piled up and a kitchen floor in need of mopping. It would not be unfair to call me a slob. In my mind, there have always been so many more interesting and important things than cleaning house. With the limited time in my life, maintaining a clean living space seemed to pale in comparison to the opportunity to go to the zoo, watch a movie, go out with friends, or engage in conversation with my family. Why fold clothes when you can probe the questions of the universe with a good book? What’s more valuable: playing a game with my son or dusting the picture frames? That’s the logic I followed for the last 20 years or more (probably more, if you ask my mother). “Cleanliness is next to godliness” had no place in my theology. Much to my surprise, I have begun to discover a deep spiritual practice in housecleaning. 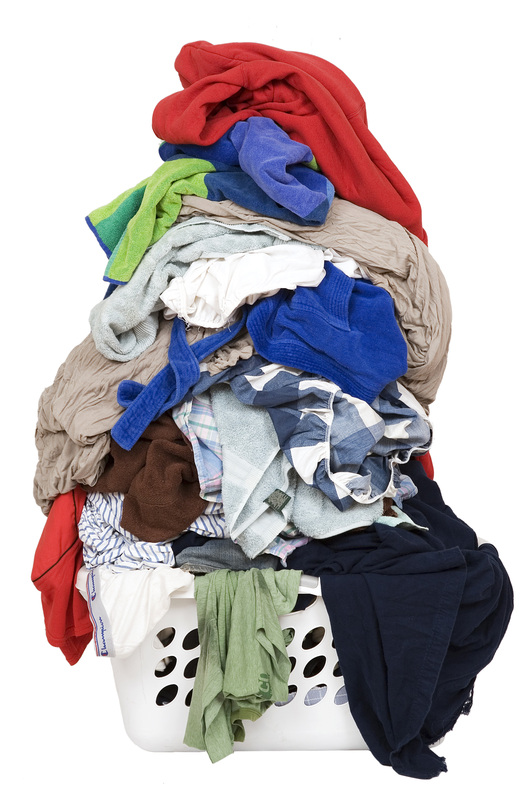 Doing housework is the simple act of service, and a way of bringing order out of chaos. It grounds me in my humanity, in my body, and in the earth. It connects me to the rest of humanity, all of whom must attend to the daily tasks of keeping order amid the flurry of life. Housework is humbling, and it reminds me that I am just one person among six billion, not God. Recently, I attended at three deaths in one day, including two unrelated deaths in the same family. It was holy, powerful and emotionally exhausting. When I returned home for a brief hour in the afternoon, I desperately needed to be reminded of the things of life, to restore my sense of balance in the midst of such grief. I had been in prayer all day, and had no more words. Even the silence felt overwhelming. I was too exhausted to talk through the day with my spouse. I couldn’t compartmentalize the emotions enough to enjoy playing outside with my son. What did I do? I washed the dishes and folded laundry. It was the most healing thing I could have done. Simply attending to those necessary tasks for my family reminded me that life goes on. The act enabled me to separate from the grief of the families I had sat with throughout the day, and return me to my own living family. In a day of such brokenness and messiness, I found a way to bring some order and peace. I remembered that God would take care of the dying and the grieving, but I had to make sure that my son had clean underwear. Rather than a chore, attending to the housework grounded me in God’s love for me and my family and their mundane concerns—not just the urgent needs of others pulling us in a thousand directions. It was an act of spiritual self-care. and order all things far and nigh. and help us in that way to go. How often do we long for order in the midst of the chaos? From the opening chapter of Genesis, we learn that ordering chaos is the work of God. In that pleading hymn of Advent, we ask for God’s wisdom to come and straighten us up, to take this mess of a world and somehow put it right again. We beg for Wisdom to show us the path, so that we can follow God and help in the work of making meaning out of madness. The practice of keeping house is a way of bringing order out of chaos. Like prayer and other spiritual disciplines, it is a practice—something that you must do over and over again, sometimes with no effect and sometimes with transcendence. 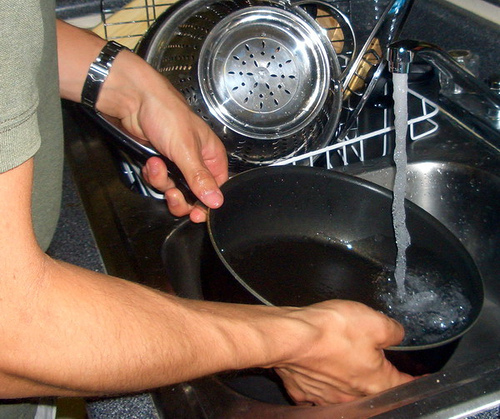 Slowly, I am coming around to see housework as more than drudgery, and perhaps even as a path to God. Instead of competing with one another for my time and attention, the work of keeping order in the house has become a part of keeping order in my soul. My house is still a mess most of the time, but then again so is my soul. I doubt I’ll get either one of them in order anytime soon. But maybe, just maybe, working toward cleanliness can be working toward godliness. I Am a Palestinian Christian by Mitri Raheb, Fortress Press, 1995, 164 pp. I have had a compassionate heart for the plight of the Palestinian people since I first learned their story about ten years ago, when I was involved with the Friends of Sabeel North America Conference in Boston. The stories of displacement, disenfranchisement and discrimination are appalling. I expected Raheb’s book to confirm this perspective, to add to my knowledge about this injustice, and tell again the story of how it has all unfolded. While I Am a Palestinian Christian did share again the Palestinian perspective, it also did much more. Mitri Raheb is a Palestinian Christian (a Lutheran pastor) who explains how being a Christian who lives and hails from the site of Jesus’ life and death makes a difference in his perspective as a Christian. He also explains why it should make a difference to Christians that he and other Palestinians like him maintain a presence in the region. I had never considered the importance of a living Christian community native to the sites in the Holy Land. Something indeed would be lost if the holy sites and cathedrals were all maintained only by European Christians, and worship every Sunday was populated only with tourists and pilgrims. The true church is the “living stones” who live out the kingdom of God week in and week out in their community. What a loss if those communities were lost in Jesus’ own homeland. The first half of the book describes the life, theology and political circumstances of the Palestinian Christian community. He talks about Arab Christians as a minority in Palestine, and the role they play in negotiations between Muslims and Jews. He talks about the modern history of the Holy Land, the injustice of the Occupation, the hardships of increased settlements and security, and the need for a two-state solution. Raheb notes the unique relationship between religion and politics in the Middle East, especially the Holy Land, where the two cannot peacefully and justly separated. He puts forth an outline of a contextual theology for Arab Christians, which includes the above intertwining of religion and politics, ecumenism, an emphasis on incarnation, attention to the poor, the sacredness of the land, and more. If we believe ourselves to all be God’s chosen ones, we have no claim to special authority or privilege (or land)—we have only mission in God’s name. Raheb’s book is an excellent introduction to the history, impact and theology of Palestinian Christianity. Raheb himself is an astute and authentic writer, whose perspective claims both personal and intellectual authority. There is nothing heavy-handed or politically charged in the book. He just speaks his truth, and that truth is powerful. 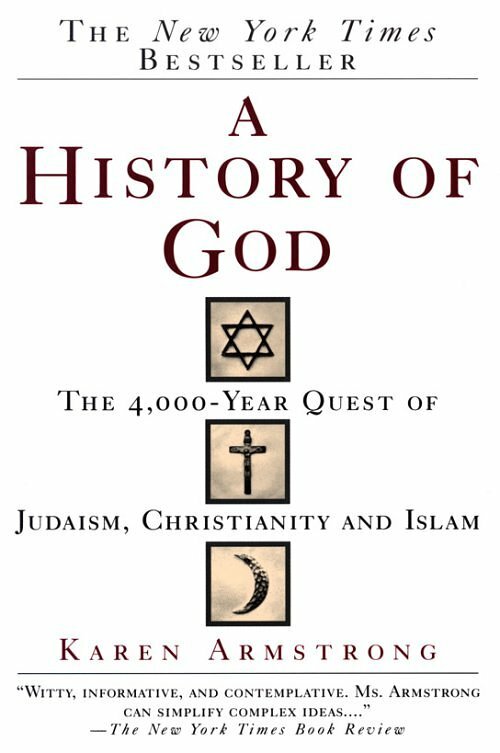 A History of God: The 4,000 Year Quest of Judaism, Christianity and Islam by Karen Armstrong, Ballantine Books, 1993, 461 pp. Karen Armstrong’s scholarly intellect and breadth of knowledge is always spectacular, and this book is a masterful example of it. Beginning with the dawn of the idea of monotheim, Armstrong traces the development of God throughout Judaism, Christianity and Islam and their multiple streams of thought. It is an intellectual history that crosses cultures and continents over the course of millenia. It is amazing to witness the way Armstrong can weave together vast and disparate threads into a cohesive whole. Rather than a history of religion, this is a history of ideas—the evolution of a particular idea of God. While the chapters tracing out the development of God in the Hebrew Bible, Temple Judaism and early Christianity were familiar information, Armstrong’s focus on the history of the idea of monotheism offered a different perspective and different insights. Most insightful, however, was the information on the development of traditions that were less familiar to me–especially Islam, Eastern Christianity and post-diaspora Judaism. Armstrong’s chapter on medieval Islamic philosophy (falsafah) opened a whole new world to me, about the depth and breadth of Islamic traditions far removed from the contemporary divide between “modern/Western” and “traditional/fundamentalist.” These categories reflect a Western European colonialism that is only 200 years old, and give a false story about the true development of Islamic thought. I especially appreciated learning more about the non-Western traditions of mysticism in Judaism, Islam and Eastern Christianity. Every monotheistic tradition of philosophy eventually reaches a place of profound mysticism, even declaring that God is Nothing. In Judaism, Islam and Eastern Christianity, that mystical understanding has become normative—even dogmatic. It is an affront to God to believe that God’s essence can ever be understood, described or named. Western Christianity stands alone in its obsession with rational theology, its attempts to define and explain God. For Judaism, Islam and Eastern Christianity, this is anathema, because God is found in mystery and nothingness. As someone who experiences God in this mystical way, it was comforting to know that our Western (particularly rationalist, American) version of God is in fact a minority opinion. This book is not a light or easy read. The scope and depth of ideas it contains make it quite complex to follow, but the writing is accessible and open. Armstrong’s scholarly synthesis impresses throughout, and I finish the book feeling a lot smarter about the place and position of my little corner of monotheistic religion in the wider scope of the history of ideas.